What do Achilles, John Lennon, and a secret service agent have in common? I play all 3 in a night of short plays at The Antaeus Company. My shows are on Feb & 7. 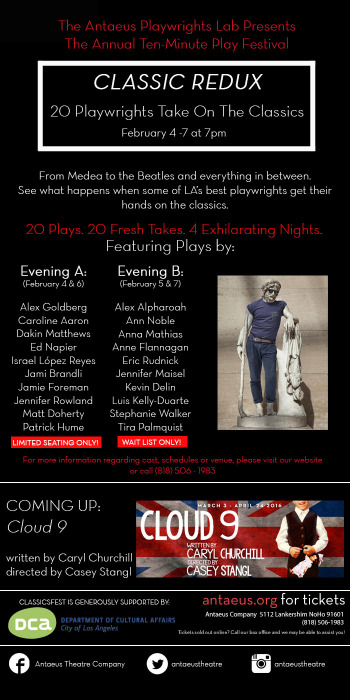 Very excited to work with so many talented folks on these 10-minute plays (all inspired by classic works throughout the ages).